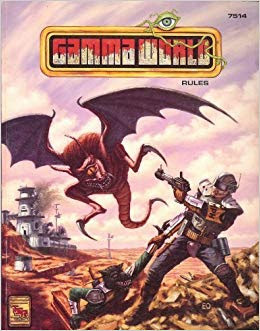 Today I was having a friend over after work for a beer & we got to talking about the recent release of Gamma World Fourth edition back into print. 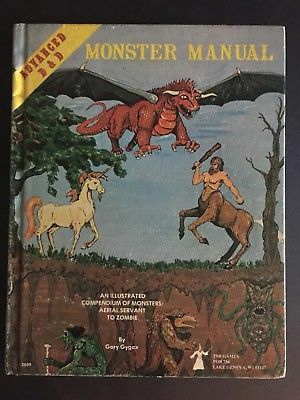 Now for years I've taken it on the chin because I've always used the Advanced Dungeons & Dragons Monster Manual for mid level management & boss monsters in the ruins of Gamma World urban & city settings. There are any number of lower tier monsters that would fit right into the terrifying post apocalypse setting of Gamma World. So let's quickly go over those first shall we. The Ankheg is a perfect way of putting the fear of Gygax into a group of would be adventurers & mutants in the Gamma World game. I've used these bastards as replacements for cockroaches around certain types of ruins of agrofarms & A.I. garden installations! They are nasty & can take a hand or arm off in a moment's notice. Skeletons are perfect post apocalyptic guardians and there are literally millions of them underfoot to cause players a ton of trouble. They can also be intelligent & very dangerous to deal with especially if they don't realize their not dead or undead. 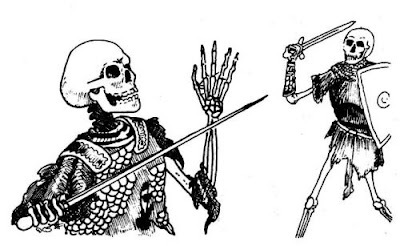 Skeletons can be very effective chasing down or seeking revenge against parties of ruin raiders & dungeon seekers who trespass on their resting ground. But they can also be a source of knowledge for those seeking particularly rare artifacts. Any of the undead from the Monster Manual make excellent post apocalyptic ruin encounters. 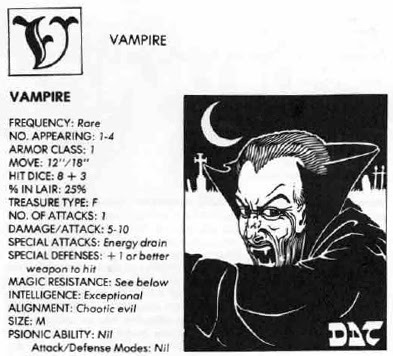 The Follow Me & Die Blog had an excellent post on the Monster Manual undead. Giant Slugs are always underestimated by players in post apocalyptic games & I don't know why. They excellent monsters to use to up point that something's just not right or weird. Giant monsters are always excellent for pointing out some sort of contamination or chaos style toxic dump weirdness. Harpies are the perfect beast to put into the ruins of an urban landscape to point out that even the god's have deserted the ruined city or other wasteland location. These things are dangerous, amoral, nasty, & particular favorite of mine because of the Ray Harryhausen style connections to Greek Mythology. Another monster that fits right at home in the backwards of the wastelands is the AD&D catoblepas with its gaze attack & nasty disposition it fits in right at home. Evil tempered, highly dangerous, & perfect for placement right around some swamp bound ruins. Now let's take on some of the mid range monsters who would certain give even the most seasoned wastelander pause & perhaps might manage some of the ruins for these horrors. 1. 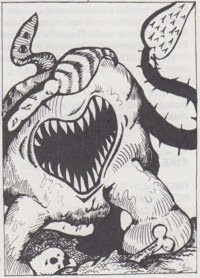 The obvious monster that is perfect for the wastelands is the neo-otyugh, a larger, more intelligent species of otyugh. These bastards are some of the most underrated monsters to throw into a dungeon or post apocalyptic landscape. 2. 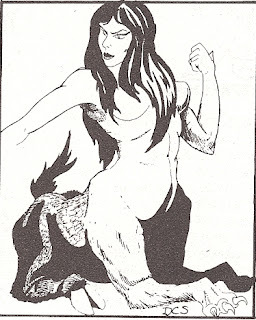 The Lamia is another haunter of ruins & I've used them as rulers for a number of ruined cities & towns all under the tails of their larger cousins in the Fiend Folio but then familial warfare & royal feuds is half the fun. 3. 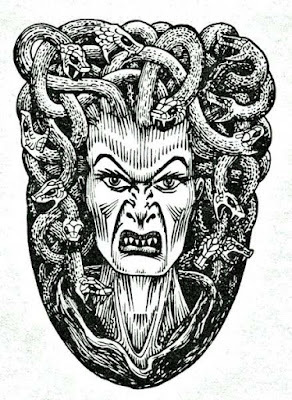 Medusa are another horror that can easily command or even rule a small shattered kingdom in the middle of the wastes. They are perfect agents of chaos moving among the ruins & tribes of mutants causing as much damage as they can. 4. Vampires have been always a good solid choice to move things from behind the scenes in the wastes. Vampire Hunter D not withstanding, vampire lords are perfect foils to rule rowdy packs of mutant tribes & command wasters to do their bidding. They can be very easy to insert & rile players in very interesting ways especially to die! 5. Red Dragons are an excellent source of unexpected fear & dread in players when they encounter them in command of hordes of mutants & wasteland trash. These horrors are perfect with a compliment of humanoid warrior types to carry out the will of their draconic master or mistress! 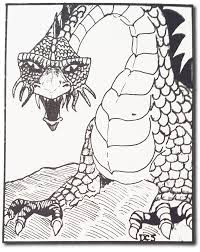 Any of the dragons found in the AD&D first edition Monster Manual found in their natural environment will cause shock & horror among players of old school or post apocalyptic games. 6. 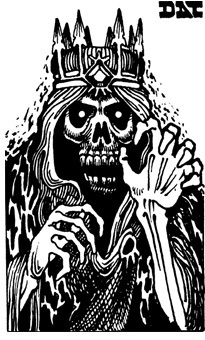 The Lich is the perfect monster to command & sew the seeds of chaos among old school players. Want to bring that 'Thundarr The Barbarian' quality to Gamma World then insert a lich. They're the perfect replacement for the run of the mill Saturday morning wizard & they're the perfect 'before the world ended' foils for parties to bow & scrap to for scarps of information about relics of the Ancients & what not. 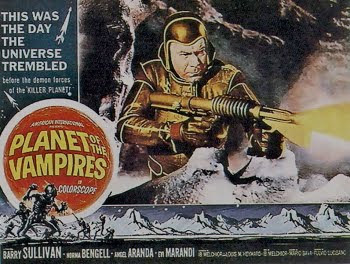 Best of all they can command armies of undead & mutants! These monsters could easily be transported over to Mutant Future & used in that game as well. No I didn't use the beholder because its been used numerous times in the wastelands. 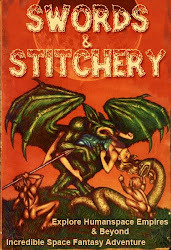 There are a ton of classic monsters that I missed but I've sewn the seeds for others to get really into the idea of using classic monsters in the wastelands.